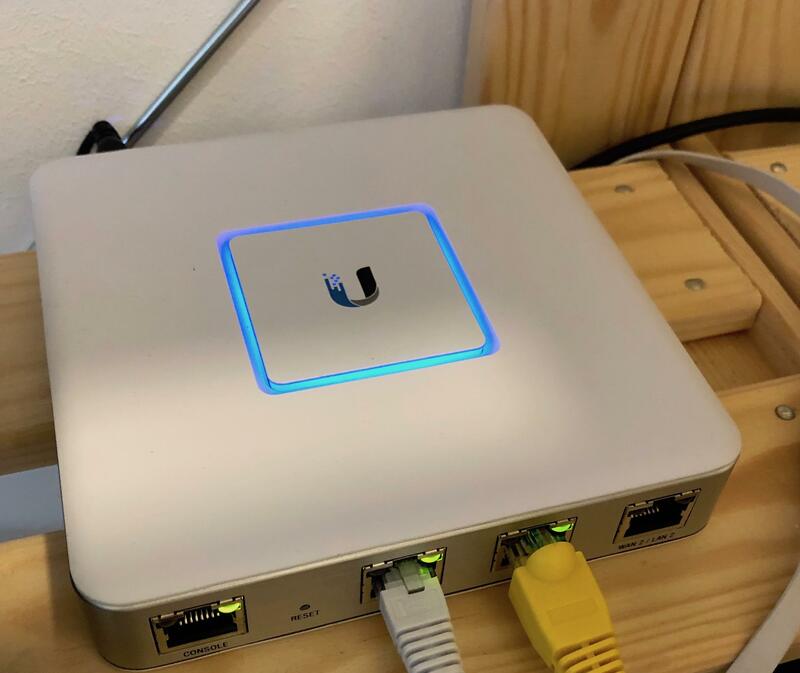 Today I published an early beta version for a PowerShell Module for the Ubiquiti UniFi Controller API on GitHub. The Module is licensed under the terms of the BSD 3-Clause license. We use a lot of Ubiquiti Access Points! Mostly the UniFi AP-AC-Pro Model. They are great, and the UniFi Controller makes it easy to manage them. My colleagues like the possibility to manage all locations within one simple to use Web UI. We have several locations where we provide wireless access, for our users and within a complete separated guest network. In our Office Location we have a VDSL100 Business (up to 100 MBit/s downstream with an up to 40 MBit/s upstream) by Deutsche Telekom, with one (1) fixed IPv4 and a big IPv6 network. Before we had a FritzBox attached to the VDSL and used a pfSense behind it. The new setup (due to the issues with double NAT) looks like this: A Draytek Vigor130 as VDSL Modem and an UniFi Security Gateway 3P as Firewall/Router. There is an Issue when you use Polycom VVX and/or Trio Phones with Ubiquiti UniFi Switches: The Phones switch or jump between the Voice VLAN and the Data VLAN.